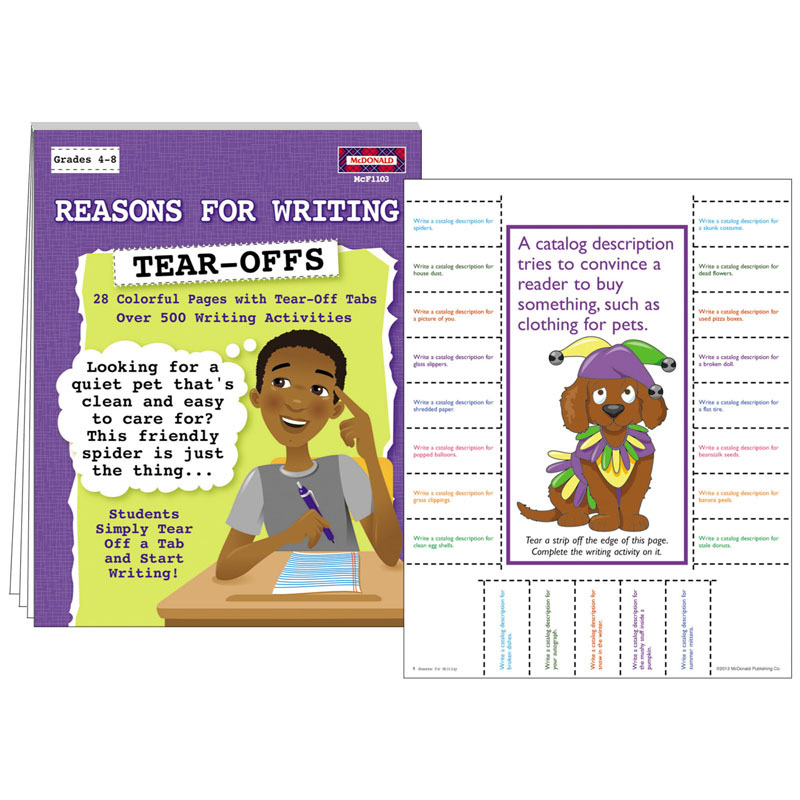 Each page in this colorful 28-page pad focuses on a form of writing that has a specific purpose, such as a description, narrative, letter, review, advertisement, and more. Each strip along the edge of a page contains a fun-to-write-about prompt based on that form of writing. The teacher chooses the form of writing; a student selects, tears off, and writes about a related prompt.